This and That With Calandra Turns 4! 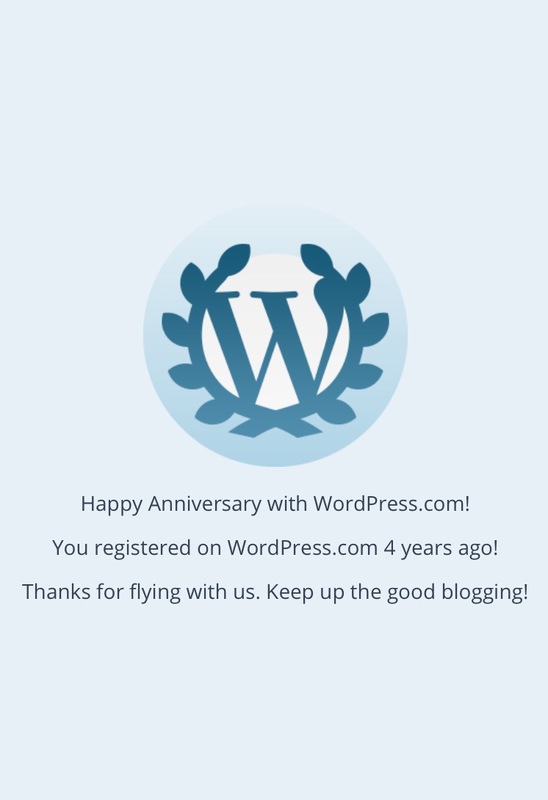 I can’t believe that four years ago today, I started my first blog, This and That With Calandra. Technically, I started it a few weeks earlier on another site, but for simplicity, let’s just use January 30 as the official birthday of TTWC! Makeup reviews and tutorials, based on my YouTube videos. Food and Family articles from my cousin and TTWC contributor Jasmine Hall Ratliff. Facebook Fan Page with over 230 followers. Parenting articles published for the online magazine MortarNBrique. A month of daily audio posts (AudioMo challenge), immediately followed by a month of daily blog posts (31WriteNow Challenge). TTWC followers increased dramatically as a result of the daily postings! A section dedicated to music that spun off to create my second website, Liner Notes Lounge, which also became the home of my monthly music podcast, The Listening Suite. And who knows what the future will hold for This and That With Calandra! Thanks to all who have supported TTWC and its offshoots over the years, and who have personally encouraged my writing. TTWC would not have come this far without YOU! Here’s to many more years of This and That With Calandra.